The Battlecry Culloden Basket Hilt Sword is an updated and improved version of a classic Windlass sword that has been in production for nearly three decades (the Scottish Basket Hilt Claymore, reviewed here). 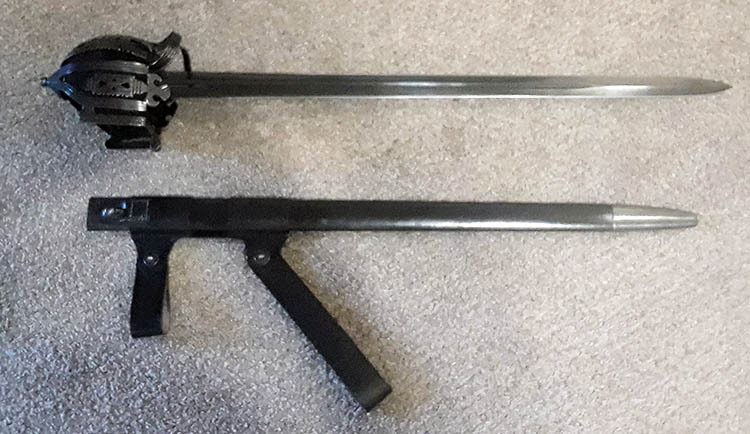 Part of a series of swords created in consultation with John Clements, president of the ARMA (Association for Renaissance Martial Arts) it takes the basic elements of the classic design and improves the handling and overall usability. Love this line or hate it, here is an impartial hands on review to see how it stacks up. The Scottish Basket Hilt Broadsword was the favored weapon of the Scottish Clansmen from the late 17th century well into the 18th century. It is said to be inspired by the Early Germanic and Italian Basket Hilt Swords which were brought into Scotland by the mercenaries of mainland Europe. The Basket hilt was a popular weapon with various basket designs around the whole of Europe. This reproduction is based on a popular Highland Basket hilt, designed by the renowned craftsman Walter Allen of Sterling. Surprisingly the blades of most Basket Hilt Broadswords were not in fact forged in Scotland but were imported from mainland Europe, then hilted in Scotland. Many of the blades were older cut and thrust types similar to XII, XVI and XIX blade typologies. 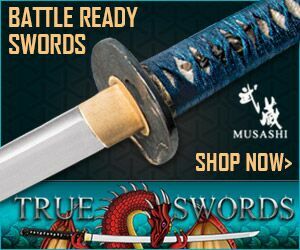 More robust than the more common XVIIId type side swords of the 15th and 16th century. 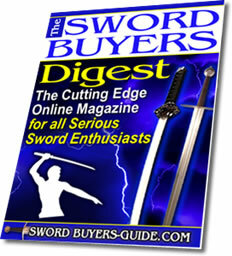 Though some were also single edged and known as Backswords. Specifically, the Highland Basket hilt tended to have a more closed basket with thick bars and rectangular plates known as side guards. Most had a wool or leather inner liner as well for further protection. The pommel was usually of a pyramid design type though there are instanced of some being of a globular mushroom type or true spherical type. As mentioned before the blades were almost of a earlier period cut and thrust profile, more similar to the arming sword of the middle ages, as opposed to the thinner and more acutely tapered side swords and rapiers of the Renaissance. These types of blades encouraged the term "broadsword" amongst future scholars, at a time when the thinner thrust oriented Small Sword and single edged Backsword blades were gaining popularity amongst the soldiers and civilians of Europe. The Highland Basket hilt saw its battlefield use ended after the crushing defeat of the Jacobite forces at the Battle of Culloden in 1746. In order to break the wild and proud Highland clans as well as the clan system, the British issued the act of Proscription. This act forced Highlanders to not only disarm (specifically their national arms such as the basket hilt and dirk) but to also relinquish the feudal authority of the Clan Chieftains. To further break Highland pride and patriotism, they also issued the Act of Dress, which banned the wearing of Highland dress (namely the kilt and tartan clan colors). Though these acts were effective in eradicating the Clan system from the Highlands, the laws instigated by these acts were soon repealed in 1782. Though the Highland way of life ended, the Highland spirit remained amongst the nationalists of Scotland and both the Basket hilt and kilt reemerged. Both earning an honorary place in the dress and uniform of the military and various societies in Scotland to this day. Proof that you can take the Highlander out of the Highlands, but you can't take the Highlands out of the Highlander. 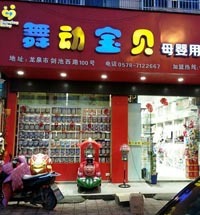 My first impressions were good. The minute I unboxed the sword I was first impressed by the size of the basket and then how light weight it felt in the hand. The sword has a slight forward balance but isn't cumbersome or heavy feeling, it felt surprisingly quick and responsive. I was also impressed by the look and comfort of the ray skin grip, something I was unfamilar with outside the underwrap of Katana. I didn't know what I would think about the all black coloring of the Battlecry line but I must say it isn't that bad. 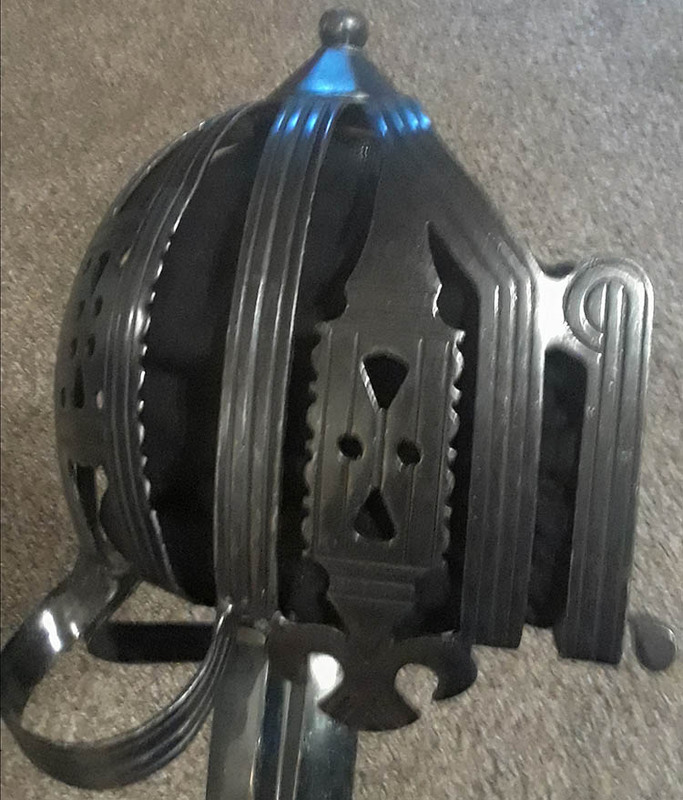 I think the blackened basket suits the sword over brass or cleanly polished steel. The blade looks good too and is is straight and even, with no deformities. Every part of sword from blade to pommel is tight and even. Overall a great sword. Basket Opening Width: 4 1/2"
Basket Internal Length: 5 1/4"
The blade on this sword is made of 1065 high carbon steel and has a high polish accented by a deep blackened finish. Very similar to a type XIX in profile the blade has a diamond cross section and the edges are near parallel with very little profile taper. 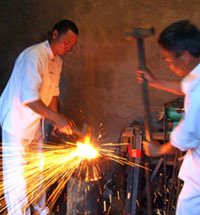 The tip is spade shaped with a good thrusting point. The blade has a short ricasso at the base of the blade and a thin single fuller that goes down a little over 3/4 of the blade's length. As with most Windlass blades there is very little distal taper. The blade itself though is stout and rigid, it takes effort to flex and is strong in the cut and thrust. The blackened finish of the blade is attractive and adds something extra to the blade than what the usual Windlass mirror polish offers. The blade came very sharp with a mild secondary bevel. This is unique to the Battlecry line as all Windlass swords come with a mandatory 1mm thick edge by Indian law in order to be exported. 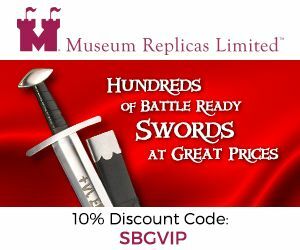 Since this is the case I would assume that the swords are sharpened stateside in the Museum Replicas shop. The only thing that kind of turned me off was the new Windlass "makers mark" of two crossed kukris on the ricasso. 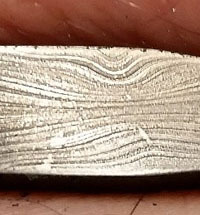 It's not really that ugly but it is cut really deep into the blade and stands out like sore thumb. I don't think it is big enough to cause any structural worry but I miss the old sticker and laser print that was easily removed with some metal polish. Overall the blade is very attractive and mirrors the type and profile of the Scottish broadswords of the past. It is stout and strong and I would have no inclinations regarding its functional use as a heavy to medium cutter. The handle is of single hand length and has an attractive full wrap of black ray skin wrapped with a single twisted silver wire in a helix. I wasn't sure how I would like the grip as this is my first time handling one of this type. I expected the ray skin to be rough and uncomfortable but actually it is the opposite. The nodes are smoothed down enough to be held bare handed and the ray skin is lacquered black. The black and silver coloring is very aesthetically pleasing and is my favorite part of this sword. I'm glad they went with silver over black wire and ray skin over leather as again it really adds to the aesthetic look of the sword. My only concern is after extended handling the black lacquer with rub off as on a few nodes you can see white. The guard is a full basket in the Highland style. As seen within the stats section of the review it is wide and deep, giving ample room for the hand both bare and gloved. It is made of blackened steel with intricate cutouts and lines adding to the aesthetic look of the basket. The basket is made up of a forward quillion, rear quillion with wrist guard (lobed terminal at the end of the quillion), rear guard, side guard, saltire bar, outer shield, main knuckle guard, forward guard with terminals on the side guards known as ram horns and capped with a pommel. 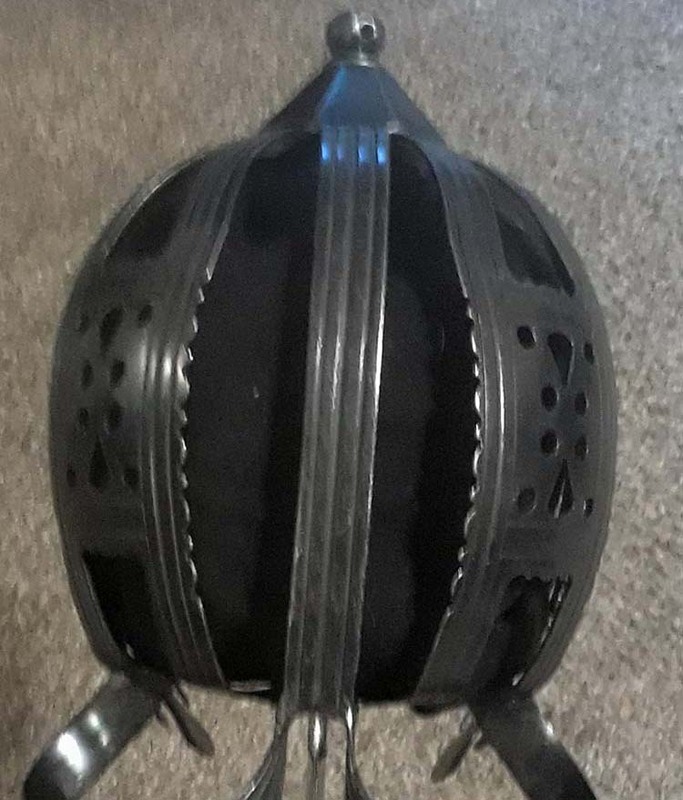 Each side of the basket has these shields and guards meeting the main knuckle guard in the middle of the basket, creating a helm for the hand almost providing excellent protection. The basket is not overly thick but strong and doesn’t bend or shift. 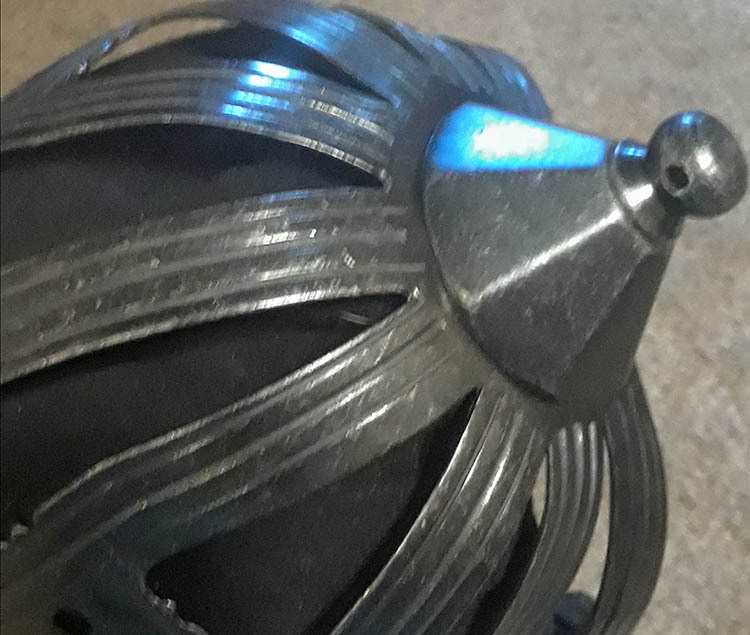 There a few rough spots where the welds between the guards and quillions meet, though nothing that seems detrimental to its structural integrity, nor noticeable enough to detract from its aesthetic. The basket is lined with a black woolen liner held in place with a stitched in copper wire. I kind of wish they would've used a steel or nickel wire as opposed to the copper as it looks kind of off in contrast to the black and silver of the grip. 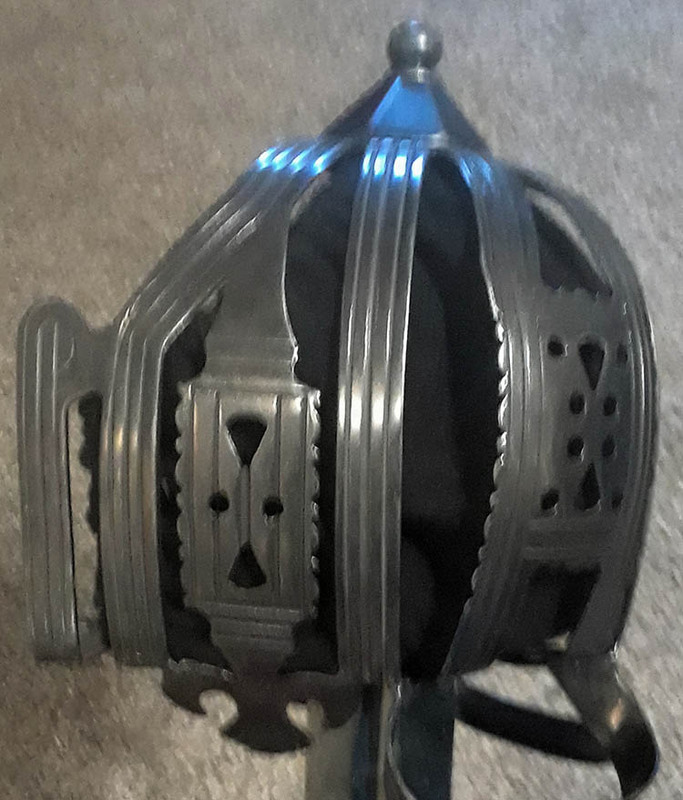 The basket is capped with a pyramid type pommel common with basket hilts. It has a tang button though it is not peened but threaded. the button also has a hole drilled through to possibly add a tassel as well as a way to cleanly unscrew the pommel with a key. The pommel is tight and well fitted and there seems to be no shifting or looseness of the thread. Overall the guard and pommel are attractive and well made, offering superb hand protection as well as an extra offensive tactic in striking with the basket itself. The scabbard is of the standard Windlass variety of leather construction, colored black with throat and chape. It is made of the harder variety leather I've seen used on three other Windlass swords I own, for example the Windalls Roven and Homildon Hill. The steel throat with frog button is blackened as well as the chape. It holds the blade well but is loose at the mouth and the sword will slide out held upside down. This model as well as others of the Battlecry line come with an additional leather frog. The frog is made of thick leather with two riveted belt loops. The frog rests comfortably from the hip on both a belt and baldric. 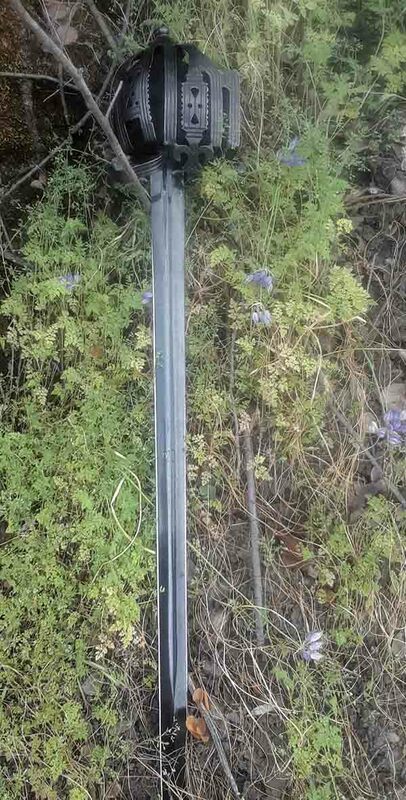 It also has the benefit of being wide enough to hold many of my other arming and longswords, with the exception my Windlass Type XIV as it is too wide. Overall a nice addition to an already impressive package. 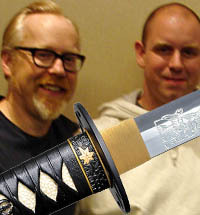 As I mentioned in the first impressions the sword handles lighter than I expected for its weight and point of balance. I think a lot of the weight of the sword is pushed back to the hilt which allows the blade to feel more balanced than one would expect from it if it were hilted with a standard medieval cross and pommel. 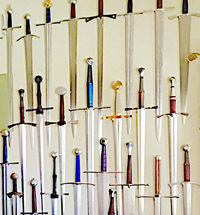 The sword transitions well between forms and guards. 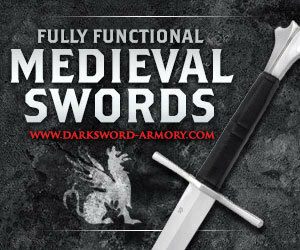 No matter if you are thrusting, cutting or in a guard, the sword moves quite effortlessly and is comfortable to wield. 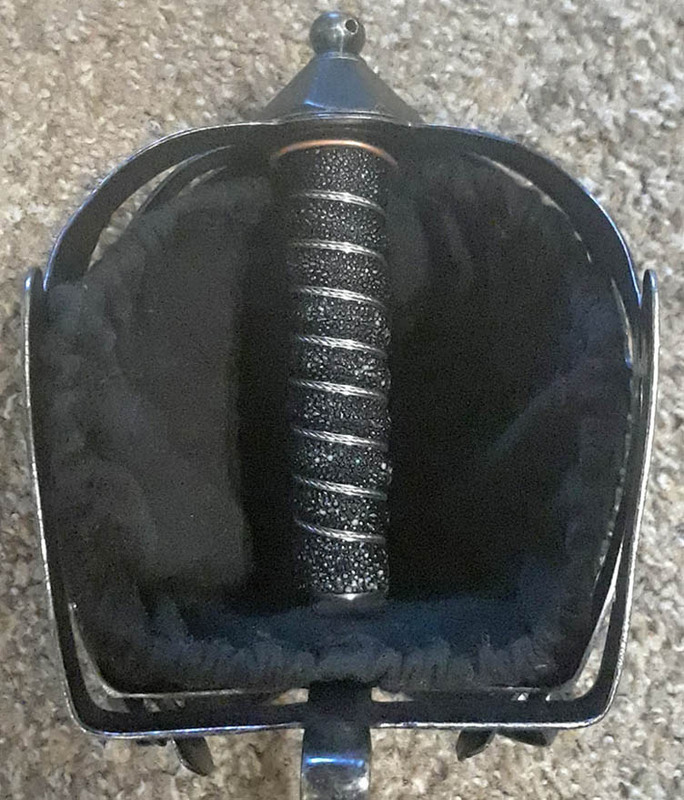 The basket is wide enough to where it doesn't restrict movement or cramp the hand and the cotton liner adds extra comfort to the fist when holding the sword. The inside of the basket is actually very smooth and I feel the basket wouldn’t be uncomfortable if the liner were removed. The Sword due to the basket doesn’t offer much differentiation in gripping. Due to the shape of the grip and basket a hammer grip is really the only way to hold the sword, as there is no space between the quillion and guard for a pistol grip nor much room for a handshake grip due to the flat and wide inner quillion. For that reason, this sword could be defined more primarily as a cutting sword, though with proper skill and transitioning can be used for well-placed thrusts. 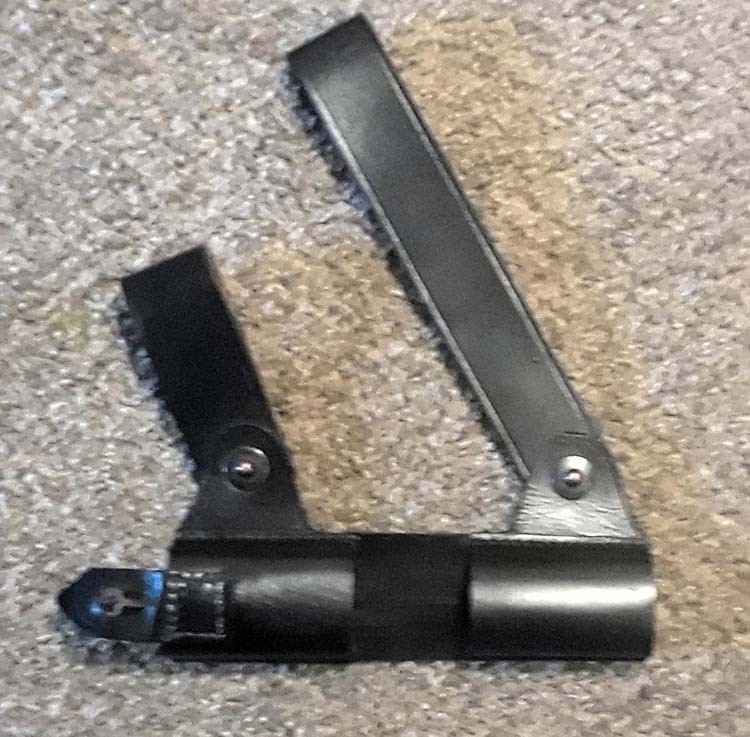 The basket's shape does limit the versatility of the blade but does offer excellent hand protection more so than any other complex hilt I have handled or seen. It would take a very well-aimed thrust to work between the guards and shields of the basket to harm the hand and even then the opponent would risk getting their blade trapped in the arching forward guards and sloping ram horns. Overall this sword handles nicely with a focus on the cut but still the ability to offer good thrusting capability. The sword is an impressive cutter. The edge was good and didn't have trouble going through any of the bottles and the tip was definitely able to thrust through the thicker plastic bottles with relative ease. The blade is obviously nice and rigid too as on thrusts it didn't bow or overly flex. As I mentioned before this is a sword that has more focus on cutting rather than thrusting, as it can be awkward getting the blade positioned to a thrust with the basket there. As far as the blade and swprd itself after this little cutting session both were still in great shape and showed no wear or damage. Edge and tip have no nicks or bends, the finish didn't scratch or wear off and the hilt stayed intact with no loosening of the basket or threaded pommel. Overall a great edge and the blade profile and durability offers great cutting ability. The basket can take some getting used to, though once you do you'll have no problem going through various target types. This is a more lighter test but I feel this sword would hold up to more heavier targets. 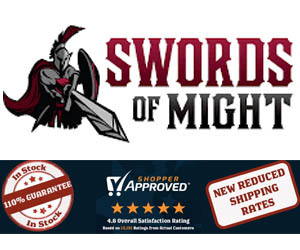 Overall I'm impressed with this sword for its price point. The Battlecry line itself seems to be new swords but in reality are kind of a hodgepodge of older discontinued models made into "new" swords. For example, the Culloden is a mix of the old discontinued Culloden Steel Basket Hilt but with a blade more similar to their Brass Basket Hilt Sword. Though it does seem to have its own Pommel different than the later designs. The frog is a nice addition and the blackened blade and hilt adds a functional purpose as well as aesthetic value to those in favor of black sword. Overall I'm impressed with the Basket hilt design and am glad I opted to own one. It may be a little too restrictive for some but I like it and enjoy the history and design of the weapon. As far as the Battlecry line goes, honestly they don't seem that much different from other Windlass swords in my collection. I appreciate the resurgence of older blade types and hilt styles long since discontinued or not, as well as with a few be it minor but aesthetically pleasing differences. I'm not sure what additional insight John Clements added to the line as far as tapering or profile but perhaps the differences are better seen in other swords of the line? A more restrictive hilt design that limits grip styles. 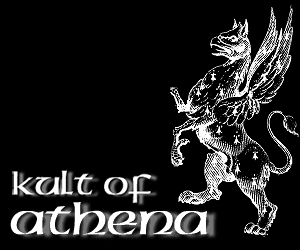 The Battlecry Culloden can be had at the best price HERE at KoA (Kult of Athena) - normally it is over $300 ($325 here at the manufacturers official website) - but at KoA you can get it for just $269 and rest assured that you are also dealing with one of the most respected sword sellers in the industry.